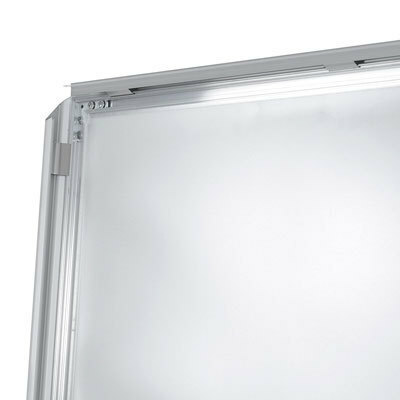 Categories Snapframes Snapframe "Lockable Snap Frame"
LOCKABLE SNAP FRAME WALL. 32mm. Silver anodized Corners cut in mitred. Secured with a allenkey screw lock. With white PS backing and APET front panel. Includes screws and plugs. You can lock the posterframe "lockable snap frame" with a hex-wrench. The edges of the frame are mitre cutted. 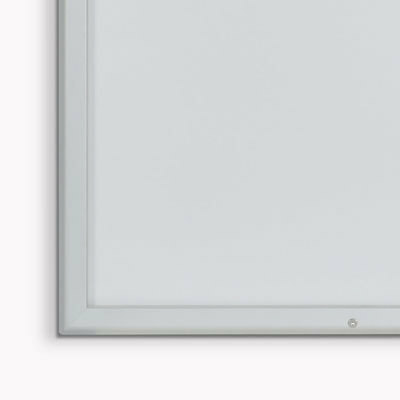 It has a white polystyrene rear panel and the posters will be protected with a nonreflecting APET sheet. 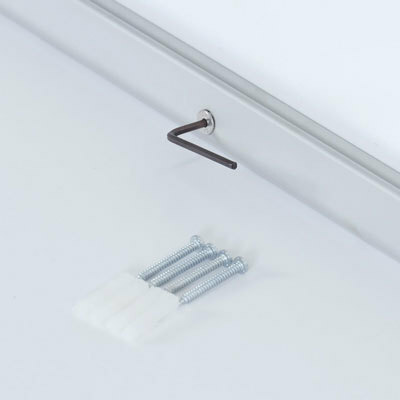 The delivery includes screws, screw anchors and a hex-wrench. The following produkts are not included. They could be ordered separately.